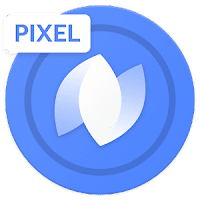 Grace UX Icon Pack is the best icons based on the galaxy note 7 adapted to the new google pixel design. In Grace UX iconpack have 2600+ icons perfectly designed to adapt to any environment, So no matter what device you have always look perfect. It also has 107 wallpapers that you can download and use whenever you want. For use it you need a launcher such as nova, apex, adw that allow custom themes. The in-app purchases are ONLY for donation. There are no pro/unlocked/premium icon requests in this icon pack. Open the Pixel Icons and navigate to the "Apply" tab.